Virtual production: lights, cameras, action! Episode 3 of our virtual production podcast series features an interview with stunt legend Guy Norris and his son Harrison, who have turned real-time stunt visualization into a full-blown interactive previs tool that the entire production crew can use. Listen to the full podcast below or read on for an overview, then visit our virtual production hub for more articles and insights. It’s 1981, and the second film in the Mad Max franchise, Mad Max: Road Warrior, is in production. At 21 years old, stunt performer Guy Norris is literally risking life and limb so that Mel Gibson and other cast members don’t have to. There are no rigs, trusses, or safety cables—it wasn’t possible to paint them out back then. The daredevil ends up with a broken leg, although that doesn’t stop him from shooting his final fight scene, with his damaged limb propped on a box just outside of camera frame. 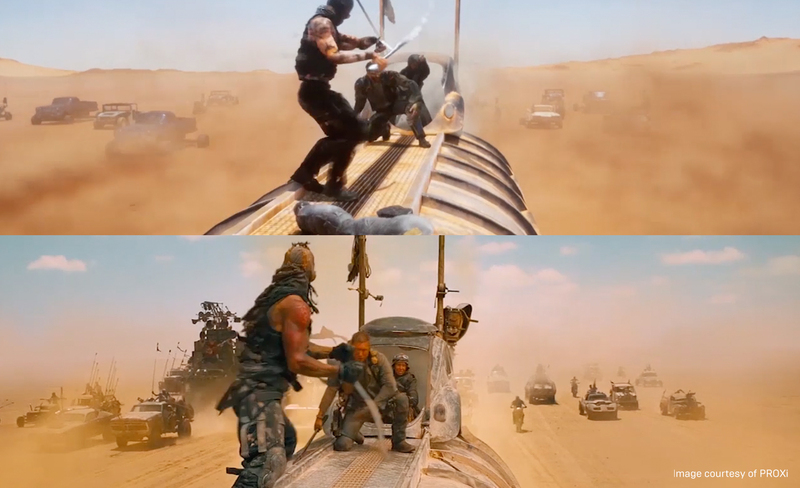 Fast forward to 2015 and Mad Max: Fury Road. 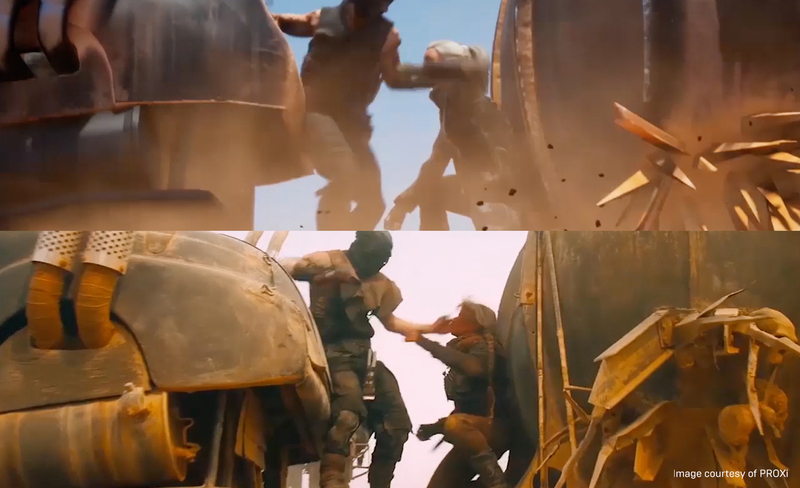 Guy Norris is still director George Miller’s go-to guy when it comes to stunts—only now he’s coordinating and designing them instead of hurling his own body through the air. Today, Guy is working alongside his son Harrison on the latest offering in the legendary series, Mad Max: Wasteland, along with X-Men: Dark Phoenix and Netflix’s Triple Frontier. Another project on their resumes, Suicide Squad, is already in the can. The ability to digitally remove real-life physical safety systems in post has made stunts both wilder and safer, but that’s not the only contributing factor. Originally, the term stuntvis was applied to the process of rehearsing stunts and shooting video of various options to show to the director. But as CG technology has evolved, stuntvis is becoming a whole new art and science, involving performance capture, real-time rendering, and computed physics. It’s just one exciting aspect of the emerging field of virtual production. 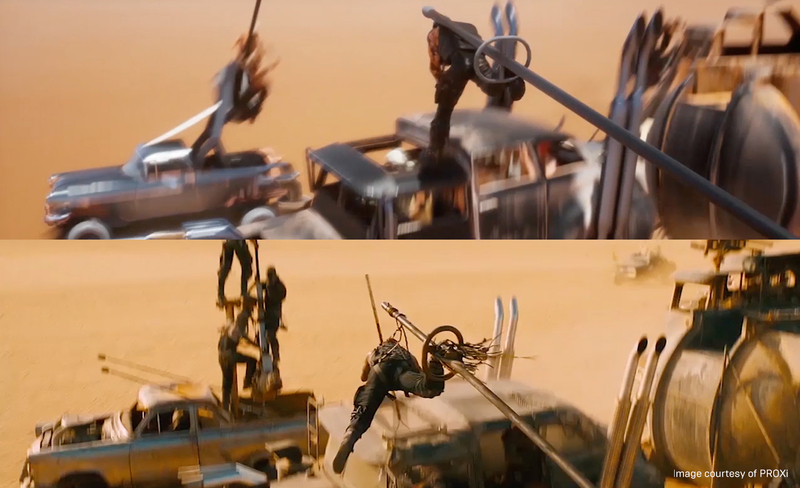 This video, created retroactively from a sequence in Mad Max: Fury Road, shows how stunt visualization (stuntvis) created with Unreal Engine can be used to give the crew a full picture of an exciting, fast-paced stunt sequence before a single frame is filmed. Because stuntvis from his current projects can't be shown yet, Guy Norris created this illustrative piece to showcase the technology. Stunt teams have always been quick to adopt new technology, and Guy and Harrison Norris are no exception. They’re now at the forefront of the field in developing new systems to enable production teams to collaborate on action design, and to explore creative possibilities before shooting happens. Stuntvis is a form of previsualization, but it’s an evolution of it. Traditional previs is a pre-rendered shot-by-shot representation of a film—a somewhat static tool with limited usefulness during production. Often, the entire previs is developed and rendered offline before the director has started on the film; not surprisingly, the lighting and camera angles in the previs representation are therefore usually not what the director had in mind. As a result, a lot of this typical previs reaches set and is disregarded. When the director sees this previs, he’s not interested in producing somebody else’s vision—he’s interested in creating his own. But because previs rendered offline is so time-consuming to change, redoing the previs with the director’s input isn’t an option. This is where the father-and-son team sought to provide a more interactive, iterative tool that stakeholders could actually use, handing creativity back to the creatives. Using Unreal Engine, Guy and Harrison Norris created a tool able to handle fully interactive environments representing an entire sequence. Working in collaboration with the production team, they can place the camera anywhere in the scene, edit lighting on the fly, and try out various performances. Capturing whole sequences of action at once, rather than working shot by shot, provides much greater creative freedom in storytelling. 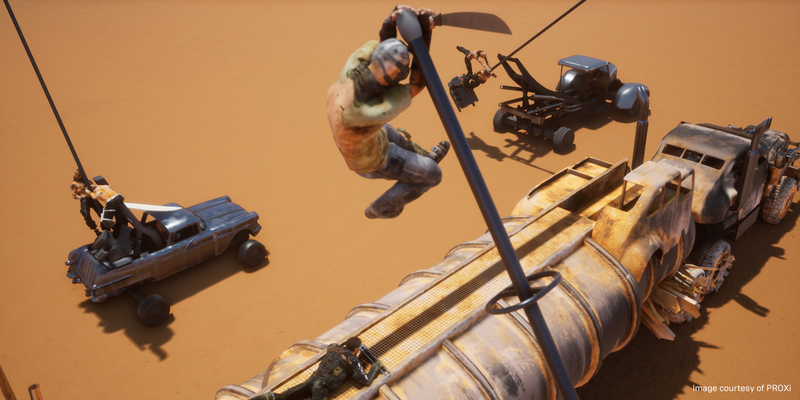 The team also knew that it was important to provide an environment with enough accurate detail to give creatives a realistic picture of how the final scene would look. The interactive tool they created with Unreal Engine is able to use all manner of input including 3D models, topographical maps, accurate color palettes, and VFX like dust and volumetrics to create a precise “digital rehearsal”. “It’s all about creative ownership,” says Harrison Norris. With this toolset, the director and other creatives can refine the lighting, change camera angles, experiment, and see an accurate and precise representation that reflects their creative intent. While the original goal of stuntvis was to improve planning and execution of stunts, the entire crew was soon drawn to the instant feedback these interactive sessions offer. In effect, the Norris’s stuntvis tool provides a living, breathing representation of the film that all creatives can use to iterate on different options. Even the wardrobe department gets in on the game, using the tool to try different costume options and iterate on various color palettes to see how they work with the set and action. Guy Norris concurs. “It becomes a tool that everyone actually gravitates toward because they understand that it helps them do their job better,” he says. Curious to learn more? Head over to our virtual production hub for even more insight into how filmmakers are refining new techniques for media production.